Roland & Associés is run by Thierry Roland, it is a coaching agency that has been built on partnerships formed as a result of successful collaborations. The strength of our business – and the resulting benefit for our clients – is a direct result of the diversity of our coaching staff. This in turn comes from the unique nature of their professional careers, coaching experience, approaches and tools, as well as the variety of individuals they have coached. I am proud to introduce these respected and recognised professionals with whom it is a pleasure to work and whose personalities I appreciate. Each of them is at the head of their own unit and independently manages their own professional development. My aim is not to build a “standardised” team but to work with peers on a basis of trust and respect, and discover what can arise from such an approach. If our aim is to help our clients to encourage an “inspired working community” (see Frédéric Laloux) in their company, we must start by doing this amongst our coaching staff. Has a profound interest in neuroscience and the relationship between behaviour, feeling and rational thought, his strong belief is that the regular use of the observation / action relationship can be a major performance lever for 21st century managers. He is the director of Roland & Associés, a coaching and human resources consultation agency which he founded in 2002. When required by his work, he works in close collaboration with a group of experienced coaches that he has personally selected and tested in real situations. Thierry became a coach after a long working career which took him from banking (financing for large international projects) to consulting, also including the steel industry and the financial press. He lives in Paris and operates, in English more than half of the time, on individual and management team coaching programs. Most of his clients are leading businesses from the energy, industry and financial services sectors. He was trained at the Coaching Academy and is a member of the SF Coach and the EMCC (European Mentoring and Coaching Council), as well as the Neuro-Cognitivism Institute in Paris. He is also a member of the Portland Management Research Group (Maine, USA) and uses a wide variety of Anglo-Saxon psychometric tools such as MBTI. For 10 years, Florence has been coaching directors, managers and their staff in the development and promotion of their resources and talents. – an individual who knows themselves and how they themselves operate will have a greater capacity to select the correct behaviour in the face of change or unforeseen situations. – motivation and desire for self-fulfilment are essential for individual and collective success. A fulfilled manager or director will be balanced, centred and confident. They will remain lucid in high pressure situations, they will have the agility and flexibility required to face up to change and complexity. Florence combines benevolence and strictness in a climate of mutual trust to lead her clients to develop these qualities. She works with three complementary registers: thought, intuition and feeling, she encourages the study of key practical interpretations which allow for the understanding and surpassing of the issues at hand. 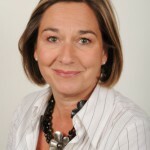 She has built her coaching career on her fifteen years of professional experience working for – internal, institutional and financial – communication consulting agencies as Commercial development manager for project teams and as Key-accounts Customer Director (Accor, Axa, Hermès, Lagardère, Total, etc.). 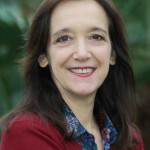 She received her Transformance coaching certification in 2005 and trained at Gestalt, Analyses Transactionnele and Approche Neurocognitive, she also employs self-awareness models and her own personal leadership style: MBTI, Lumina Spark (day-to-day and under-stress fundamental personality profile) Belbin (Team roles and performances) which allow directors and managers to make the best of their abilities, identify and act on their development axes and encourage complementarities. Dominique has dual Swiss and French nationality; she started her professional career with a German publishing house. She then created and managed “business units” for large multinationals such as Time-Warner and Mattel Inc. for whom she was Licensing Director for France and Europe, the Middle East and Africa, respectively. Before starting to work as a coach in 2002, she was also World Licensing and Partnerships Director for Club Méditerranée. Amongst her achievements she has negotiated the implementation of strategic alliances of global importance with names such as Coca-Cola and Danone. Today she has accreditation as an Associate of SF Coach and Coach Process Com authorisation; she practices both individual and group coaching, mainly for large French and international multinationals. She coaches directors and managers in various situations: starting in a new position, joining the board of directors, passing from expert to manager, 360° perspective approaches, improving relationship communications, professional project mobility and renewal, and on a more general level she works on personal coherence and achieving potential. She also holds leadership development seminars for both upcoming and experienced managers from multi-cultural staff environments. Dominique works in French, English and sometimes in Italian and German. 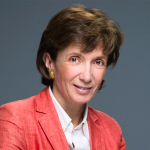 Emmanuelle provided consulting services to large French and International businesses for the Accenture consulting firm for sixteen years, during this time she managed and coached a number of merger, organisation restructuring, training and leadership development programs. She mostly intervened in the banking/insurance, energy, hotel, business management and strategy consulting and luxury goods sectors. She graduated from the Ecole Supérieure des Sciences Economiques et Commerciales (ESSEC), she was certified as a professional coach by the Académie du Coaching. She is also certified in Process Communication by Kahler Communication France, a certified MBTI level I practitioner, trained by Analyse Transactionnelle (101) and EQUI 2.0 certified (Emotional intelligence). She works under the supervision of Jacques-Antoine Malarevicz (systemic approach), and works equally in French and English. She places priority on a positive approach to her coaching, and often makes use of Non-Violent Communication principals. She works in depth and with benevolence to provoke the emergence of a personal dynamic from her clients and encourage their autonomy in the use of the tools that she provides. Her clients and peers respect her intelligence in the evaluation of situations, the quality of her listening capacity and attention which encourage a better sense of centring, the energy she injects into relations as well as her pertinence and creativity. 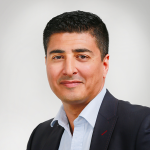 Thierry graduated from the ESCP-Europe, he is certified as a professional coach by the Académie du Coaching, TMS (Team Management System), Process Com PCM, MBTI, SYSCODEV certified, and has received Systemic approach (JA Malareweicz) and team diagnostics (A. Cardon) training. He is supervised by Virginie Cornet-Bucher as well as being a Jungian therapist and member of the FF2P. He is bilingual in French and English, he works in both languages. He has been a consultant, coach and trainer for 9 years; he provides individual and group management coaching activities for the improvement of effectiveness in change management and advisory/training services for management and direction development. He is a member of the ICF-International Coach Federation, FF2P and Aqueduc (association of qualified coaches from the Académie du Coaching) for which he was the president for three years. He contributed to “Coaching for the first time” (Editions d’Organisation) and has been an assistant coaching trainer at the Académie du Coaching. 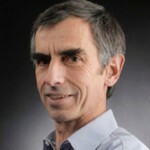 In his coaching work Thierry uses the extensive coaching, training and management and direction development experience he acquired as Corporate programs director for the Renault-Nissan Group, and before that as Executive Education Director at the EAP-European School of Management in Paris-Oxford-Berlin-Madrid and Novancia. In his work he has also practised intensive team, project and operational management. Before this he built up European and international operational experience as well as commercial and marketing management experience as Regional export manager for the Rhône-Poulenc Group, in the food industry sector (SOPEXA) and the leisure industry sector (AMCA). After starting his career as a consultant for a number of large Anglo-Saxon consulting firms and international bodies (PwC, Deloitte, World Bank), he specialised in executive direction coaching and transforming management challenges into learning and growth opportunities. For almost 15 years he has been coaching direction committees, directors and managers in position integration, helping them to develop their leadership identities and to improve their management of continuously changing professional environments. The consistency of his approaches has allowed him to integrate diversity, globalisation and multicultural dimensions into his successful leadership training. His open-mindedness and curiosity for other disciplines are the source of his creativity, inspiration and innovation; his clients see this as the vector for his individual quality. Over his educational and professional career he has lived and worked in Great Britain, USA and the Middle-East. His clients and peers appreciate his dynamic energy, curiosity and benevolence; he works in French, English, German and Arabic. 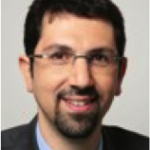 Faouzi is certified in performance coaching and META-COACHING (by the ICF recognized Meta-coaching Foundation). He has already completed over 2000 hours of management and group coaching sessions. He was trained by Art Transformationnel ® (currently in his 5th year), an integral personal coaching and development approach which aims to put creativity in the service of change management in business environments. He is certified in MBTI (Level 1 & 2), Belbin, Open Space Technology, Appreciative Inquiry, FiroB, WPB5, 360° Feedback. Faouzi is a YPO-WPO (Young Presidents Association) authorised facilitator. Omid started his professional career as an IT project manager. 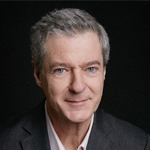 After that he spent 8 years with a number of French and international consulting firms (Bossard Consultants, Gemini Consulting, Mazars SAS), where he developed his expertise in change management and company structure development coaching. He graduated as an engineer from the ENST; he has been a certified Coach & Team (Transformance) practitioner since 2004. He has received training in the systemic approach, non-violent communication and the Human Element (Will Schutz). Omid has also been a yoga teacher since 2010. Sophie has been a coach and consultant for 15 years, she coaches individuals, teams and organisations in individual and group change management. Her approach is very international, she often supports international leaders to understand and decode “French” managing practices. Sophie was born and has lived for ten years outside of France. She has 12 years of professional experience working for large international service sector companies, for whom she has fulfilled a number of different managerial and direction roles in sales and marketing. She works in French, Spanish, English and German. She is qualified as an Engineer, has an MBA HEC and a DESS in psycho-sociology, she was trained and certified as a professional coach by International Mozaïk in Paris. She uses a number of tools such as MBTI, Human Element (Will Schutz), Process Com and Wellscan audit to diagnose and treat stress and psycho-social problems. Sophie’s values are: humour, humanity, simplicity, effectiveness, equality, open-mindedness, pleasure and the art of being serious without taking oneself seriously.